Oral health not only involves your teeth and keeping your mouth healthy- it goes beyond and beneath it. It concerns the bone and the soft tissue that supports the teeth, the gums, the tongue, the palate and the oral mucosa. With our love for consuming excessive amount of sugar, dental hygiene has become somewhat ignored. Described below are some of the common oral health problems most of the people face nowadays. DH is characterized by short sharp pain when the exposed dentin is subjected to thermal, chemical or mechanical stimuli. Dentin comprises most of the tooth structure and gives the teeth its yellowish color. It is under the transparent enamel, which is the hard substance that covers the crowns of the teeth. In the roots of the teeth, the dentin is covered by cementum. Several factors cause the loss of enamel and/or cementum and consequently expose the dentin, such as excessive and/or incorrect brushing technique and receding of gums due to periodontal disease, traumatic brushing technique, periodontal therapy and supraeruption of teeth. Other factors include dental caries and enamel erosion due to intake of acidic food, chemical products, medications or reflux and regurgitation of stomach acid. Dental caries is an infectious disease of the teeth caused by various bacteria that reside in the oral cavity. These bacteria metabolize the food that we eat and produce acidic by-products which dissolve the calcified tissues of the teeth. The destruction of the tooth’s hard tissue may produce cavitations that ultimately become clinically evident. When dental caries are not managed early on, the disease can progress further inside the tooth and eventually reach the pulp. The pulp is the part of the tooth where blood vessels and nerve fibers are located which supply nutrients and innervate the teeth. Once the disease reaches the pulp, it is presented clinically as toothache, often moderate to severe unprovoked pain lasting for hours. Not all cases, however, result in pain. At times disease progression is so rapid it causes immediate death of the pulp. If the pulp is non-vital, the tooth becomes painless until the infection reaches the surrounding bone and periodontal ligament supporting the tooth, which usually produces sensitivity or discomfort while biting or chewing. 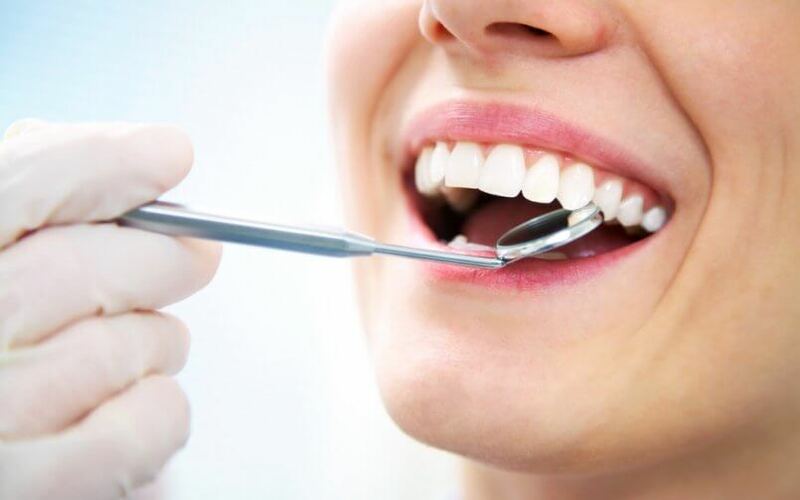 Periodontal diseases can be categorized into two: gingivitis, which is the inflammation of the gingiva or the gums, and periodontitis, which is the more progressed form of gingivitis. Periodontal diseases are a result of not removing plaque from teeth and gums – a pellicle that houses different species of oral microbes. Periodontitis also involves destruction of the periodontal area (the bone and the periodontal ligament). Destruction of the periodontal apparatus results in tooth mobility and eventual loss of teeth. On the other hand, gingivitis exhibits red, soft, bulbous gingiva, which may bleed during brushing or tactile stimulation. It doesn’t take much to keep your mouth healthy and safe from bacterial invasion. Regular and correct brushing is all it takes to maintain your teeth and keep your gums healthy and free from disease. After all, your smile is your best asset!